It seems the “Jersey Shore” cast is nightlife gold in D.C. -- or is that just their spray tans rubbing off? Mike “The Situation” Sorrentino is set to be the latest star of the hit reality show to make an appearance in the District. He is coming to town March 25 for a party at Shadow Room. Snooki, JWoww and Pauly D have already fist-pumped their way through the nation’s capital. According to the Washington Examiner, more than 500 people bought tickets to McFadden’s to see JWoww and Pauly D last year. 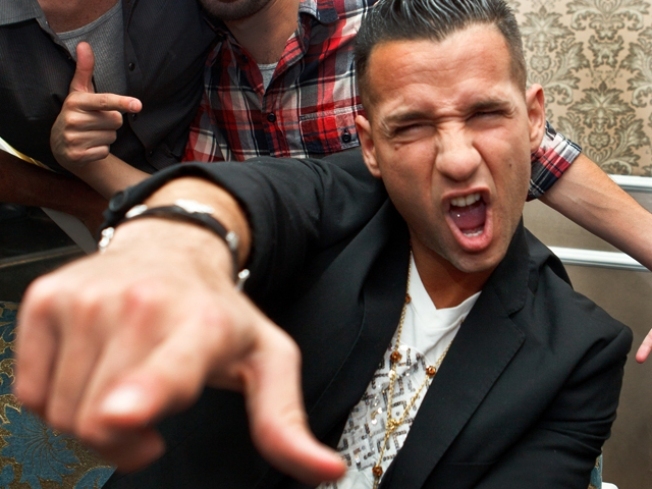 The Sitch is co-hosting his party with Glittarazzi. If you think you have enough hair gel and bronzer to join the bash, tickets went on sale Tuesday morning for $20.